Transformations of the plane are many and various. The “nice” ones are “rigid motions”, and this term includes rotations, reflections and translations. The shape and the size of a geometrical object are not altered by a rigid motion. There are also “shape preserving” transformations, called “dilations”, in which an object is stretched or shrunk equally in all directions. An often overlooked transformation is the “shear”, in which there is a fixed line, and points not on that line are pushed parallel to the line in proportion to their distance from the line. Think of a stack of paper,perfectly stacked, and then pushed sideways so that the side of the pile is still flat. You will see a parallelogram at the front of the pile. 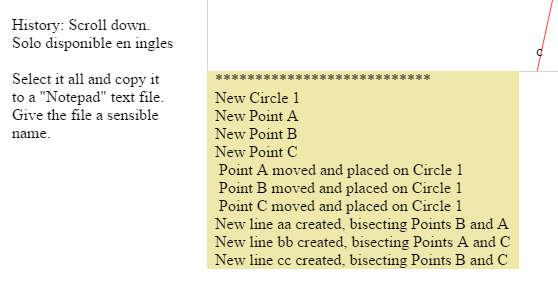 the area of any closed figure does not change at all. Here is the static picture of a fixed point J, a fixed line, the x-axis, and a set of points on the horizontal line through A. 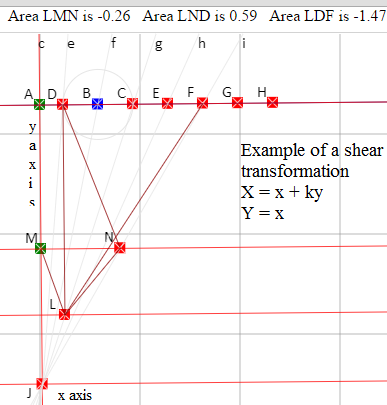 And here is the shearing in action, for varying amounts of shear, determined by the value of k.
Notice that triangle LMN changes a lot, and its area changes, but the areas of triangles LND and LDF do not change at all. Not shown is a rectangle and a circle, which would change into a parallelogram and an ellipse, but their areas will not change with a shear. As a former teacher of statistics I have to pass this on. What can be expected? If experiences of other states that have already implemented PARCC- and CCSS-aligned exams are illustrative, New Jersey’s teachers, students and parents can expect steep declines in the percentage of students scoring in the higher levels of achievement. 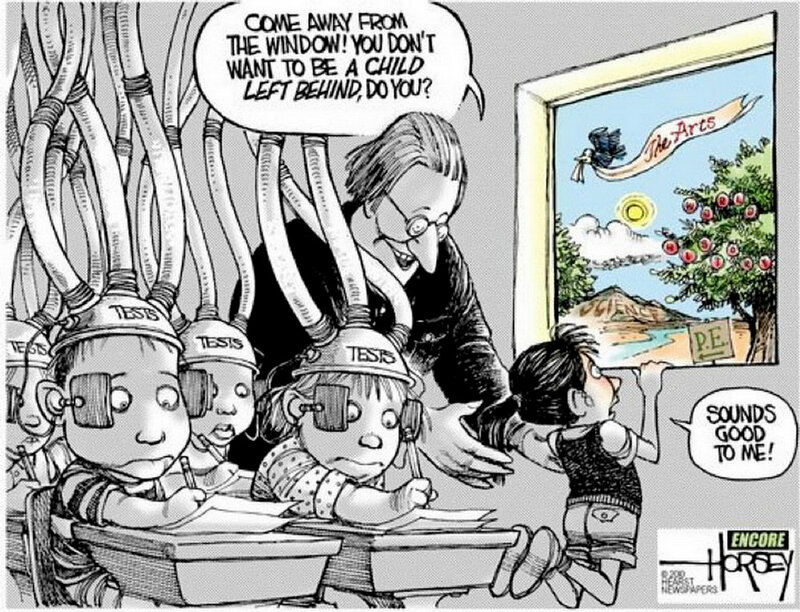 Neighboring New York, for example, has its own Pearson-designed CCSS-aligned exam, and the percentage of students scoring proficient or highly proficient was cut essentially in half to roughly 35 percent for both math and English…. Thanks to intense use of the internet I finally found a simple, understandable way of implementing Save and Fetch operations, enabling the keeping and reusing of any construction. 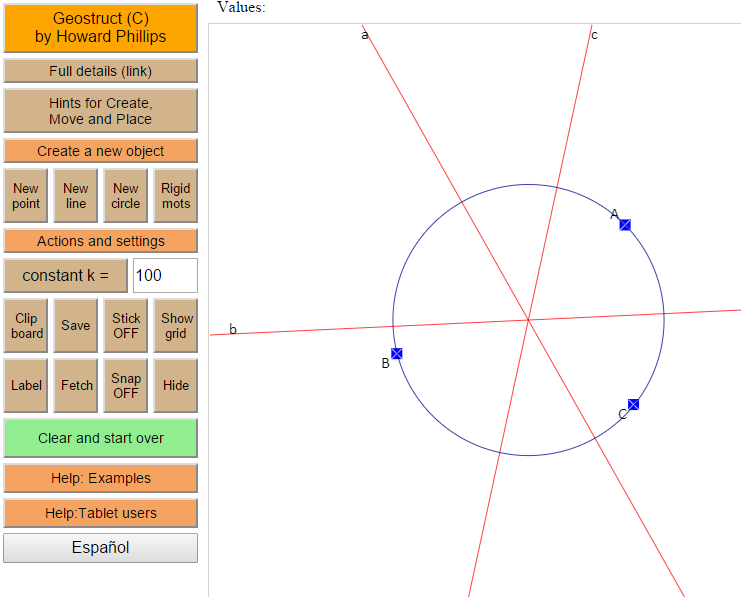 The user panel and a simple example of three points on a circle, with the bisectors of the pairs of points. The Save popup,and, below, the resulting text file. Also a modified “move object” procedure for use with a tablet,or even a smartphone. Only the dedicated study math in the last 2 years. You might find this interesting as well, just look at how little time is spent taking tests, and then only in three of the years. Then I found this. Looks familiar ! The main aim is to raise standards, particularly as the UK is slipping down international student assessment league tables. Inspired by what is taught in the world’s most successful school systems, including Hong Kong, Singapore and Finland, as well as in the best UK schools, it’s designed to produce productive, creative and well educated students. Although the new curriculum is intended to be more challenging, the content is actually slimmer than the current curriculum, focusing on essential core subject knowledge and skills such as essay writing and computer programming. In almost all computer languages a string is just a list of characters, like this sentence. The toString() method and the function String(..) both convert a number to a string. I found this today. It’s worth a read. Conrad Wolfram estimates that 20,000 student lifetimes are wasted each year by school children engaged in mechanical (pencil and worksheet) calculations. Expressed another way, we are spending twelve years educating kids to be a poor facsimile of a $2 calculator. Forty years after the advent of cheap portable calculators, we are still debating whether children should be allowed to use one. We are allowing education policy and curriculum to be shaped by the mathematical superstitions of Trump voters. Saving American Higher Education, but how? I found the following article ” The Coddling of the American Mind” while rooting about, after finding what I was looking for. Read it, or at least some of it, as it is quite long. The fear of being upset is screwing the college sector, and my guess is that the UK won’t be far behind. “You can’t say that. We shouldn’t be reading that. Someone will be traumatised”, and so on. All must be protected. It is the death of critical thinking.